Ooo we love a wee bit of Gin and so when we can accross this fabulous Old Curiosity Secret Garden Gin infused with Lavender and Echinacea from Prezzy Box we just had to share! Fantastic floral flavours make this gin truly unique. 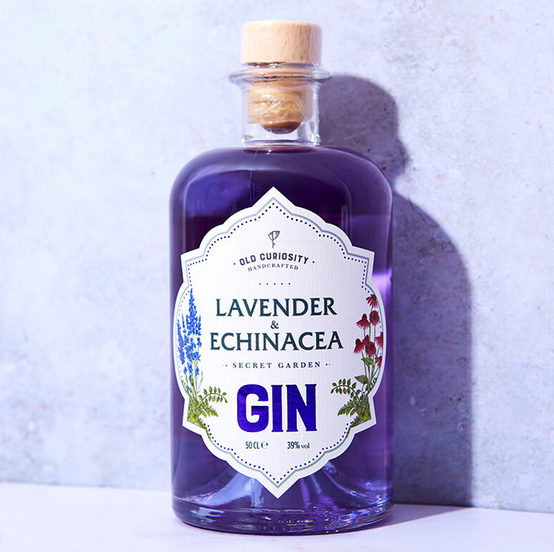 Infused with lavender and echinacea, relax after a long and stressful day with this amazing, distinctive Lavender and Echinacea Secret Garden Gin. Simply add tonic, sip and enjoy, not half eh! A great treat if you love classics with a twist, or the perfect present for a gin aficionado. They also offer a Rose infused flavour which also sounds so yummy. Aah, so many gin’s to try, so little time, sigh.